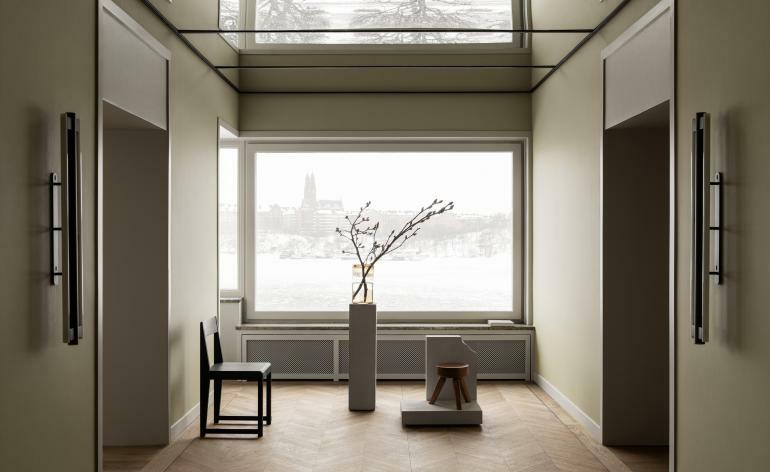 ‘I have been thinking about doing something like this for more than 10 years, since the day I moved to Sweden,’ says Emma Marga Blanche, one half of French-Swedish design duo Färg & Blanche, about the upcoming exhibition in her great-great-grandfather Julius Westerdahl’s former home during Stockholm Design Week. With a head for business and a secret recipe for a unique crispbread, Westerdahl became a rich and prominent man in the city, eventually putting up a magnificent building in the Swedish capital’s Södermalm district in 1889 that housed his residence but also a factory. ‘The Baker’s House’ installation by Färg & Blanche opens on 5 February and will take over the entrance and two floors of the elegant building, including the so-called ‘parade’ apartment on the 4th floor (the most lavish series of spaces that would also have been used for events and that has now been transformed into a foundation). The duo will show 12 new objects and furniture pieces such as lamps, stools, a table and candlesticks and display them among the antiques, drapes, chandeliers and opulent interiors of the 19th-century home along with a selection of other items designed by Färg & Blanche that have a connection to the house, such as the ‘Julius’ armchair and sofa series made for family-owned furniture-maker Gärsnäs. ‘All the new pieces are inspired by the house, it could be from a detail of the architecture, the beautiful star-patterned inlay parquet floor, or by our family history and the bread factory,’ explains Blanche. Opening up the house and using it as a theatrical setting for their work is a very emotional experience for the pair, but especially for Blanche.